Dance Biopharm's China Licensee, Harmony Biopharm, Enters into New Joint Venture with Tonghua Dongbao Pharmaceutical, a Leading China Insulin Producer :: Dance Biopharm Holdings Inc.
SAN FRANCISCO, May 6, 2016 /PRNewswire/ -- Dance Biopharm Inc. ("Dance"), a privately-held biotechnology company focused on the development of Dance 501, an inhaled insulin product to treat diabetes, is pleased to announce that Harmony Biopharm Limited, Dance's licensee for Dance 501 in Asia, has recently formed a joint venture with Tonghua Dongbao Pharmaceutical Co. and Shanghai Dongbao Biological Pharmaceutical Co. (collectively, "Dongbao"). The joint venture will focus on obtaining regulatory approval in China and, if approval is obtained, preparing for commercialization of Dance 501. According to the International Diabetes Federation, there are more than 110 million diabetes patients in China, the highest of any country in the world. Dongbao, Dance's global insulin supplier, has been making and selling injectable insulin for more than 25 years. Its high-capacity insulin factory in Northern China has been inspected and qualified by the European Medicines Agency. Through the new joint venture, Dongbao has committed to shared responsibility with Harmony Biopharm to develop and commercialize Dance 501 in Greater China. The initial capitalization of the joint venture is U.S. $11 million. Dongbao Enterprise Group is a China conglomerate with more than 20 subsidiaries focused on the production and manufacture of recombinant therapeutics, especially human insulin, and is a leading manufacturer of insulin in Asia. Tonghua Dongbao Pharmaceutical, one of the 20 subsidiaries, is a public company listed on the Shanghai Stock Exchange. Shanghai Dongbao Biological Pharmaceutical Co, also a subsidiary of Dongbao Enterprise Group assists Tonghua Dongbao Pharmaceutical Co. in the registration and operation of its overseas insulin products market. Harmony Biopharm, a private Hong Kong company, has licensed Dance Biopharm's technology for development and commercialization in the Asia Pacific market. Dance 501 consists of a high purity liquid formulation of recombinant human insulin stored in a dispenser for administration with a small handheld electronic inhaler. 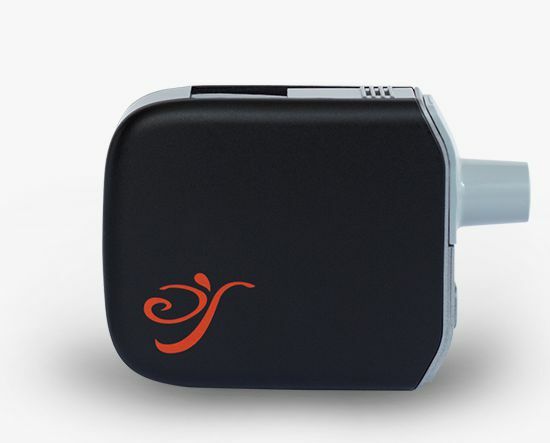 The electronic inhaler utilizes a patented vibrating mesh technology, designed to produce consistently sized particles of liquid insulin in the form of a smooth mist, allowing the efficient and consistent delivery of insulin into the lungs in a few breaths. Dance 501 has not yet been approved by any regulatory authority. Dance Biopharm is a privately-held company based in the San Francisco Bay Area focused on the clinical development of inhaled insulin products to treat diabetes patients worldwide. The company began operations in 2010, founded by Dr. John Patton, who has over 25 years of experience developing inhaled insulin and other inhaled therapies. All statements other than statements of historical fact included in this press release are forward-looking statements that are subject to certain risks, trends and uncertainties that could cause actual results and achievements to differ materially from those expressed in such statements. We have based these forward-looking statements upon information available to management as of the date of this release and management's expectations and projections about certain future events. It is possible that the assumptions made by management for purposes of such statements may not materialize. Actual results may differ materially from those projected or implied in any forward-looking statements. Such statements may involve risks and uncertainties, including but not limited to those relating to our limited operating history, our ability to successfully develop Dance 501, the cost and uncertainty of obtaining regulatory approvals, and changes in the competitive or regulatory landscape. © 2019 Dance Biopharm Holdings Inc. All Rights Reserved.